Making the decision to dedicate your precious (and usually limited!) vacation time to a wellness retreat is big and for many a decision that is not taken lightly. Prior to committing, it is important to understand and truly believe that a focused retreat can be one of the most powerful opportunities to positively impact, shift, change and transform both your current and future state of health and wellbeing. While the allure of soaking in the sun and practicing yoga on the regular can seem sufficient, most wellness retreats offer far more than your vitamin D and vinyasa fix. We have travelled far and wide on yoga retreats, cleansing vacations, fitness boot-camps and more, and there are five things we have learned you can always expect on a well-hosted retreat. 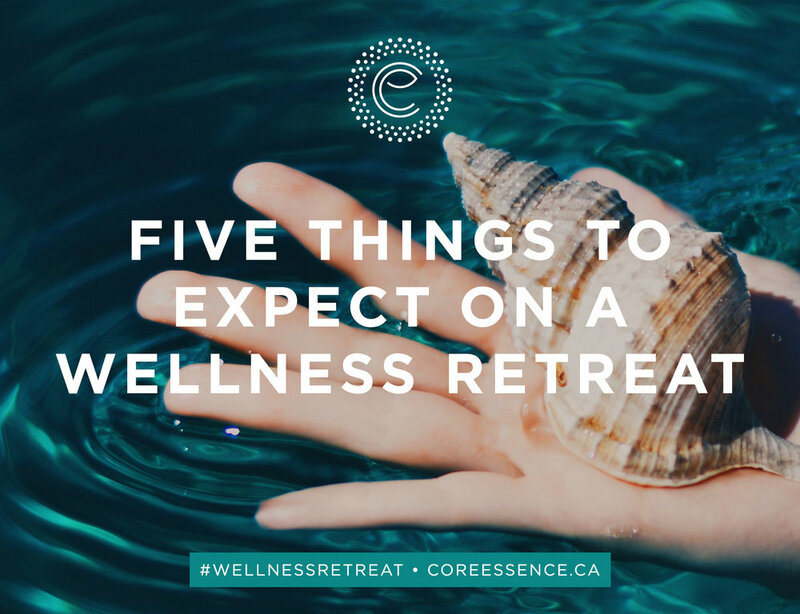 ...it is important to understand and truly believe that a focused retreat can be one of the most powerful opportunities to positively impact, shift, change and transform both your current and future state of health and wellbeing. Every effective wellness retreat we know revolves around fuelling both the body and the mind with healthy, nourishing and vitamin-rich foods. Imagine being served freshly squeezed, local juice each morning, then enjoying a midday superfood-packed smoothie before sitting down to a nutrient rich lunch and dinner every single day. Local foods, organic foods and healthful foods are worth anticipating on your upcoming wellness retreat.Ideally you will select a retreat that also includes workshops and cooking classes on how to take these practices back home into your daily life. It takes courage to retreat. This may be your first time travelling alone, your first time doing yoga or other physical fitness for an extended period of time. Perhaps it is a rare detachment from your job, family or responsibilities. Whatever your situation is, you can expect a powerful growth period during (and after) your retreat, where your inner and outer strength evolves. Whether you want them or not, the equation of yoga + travel + new situations inevitably = new friends. If you are lucky, sometimes, these friendships can last a lifetime. The intensity of retreat life can take a toll on your emotional body. The long awaited break from everyday stressors at work and responsibilities at home might alone be enough to bring on the tears. Embrace this opportunity to really check in with yourself, to feel how you are doing, to set new goals and new dreams. Your retreat can be as powerful as you want it to be. Retreats, beyond everything else, are a blast. Imagine spending day after day completely immersed in the beauty of nature, totally disconnected from all your devices and in the company of likeminded people who are there to talk, laugh, explore and have a great time. Are you looking to host, attend or learn more about global wellness retreats? Contact our team at Core Essence for more information. Happy retreating!